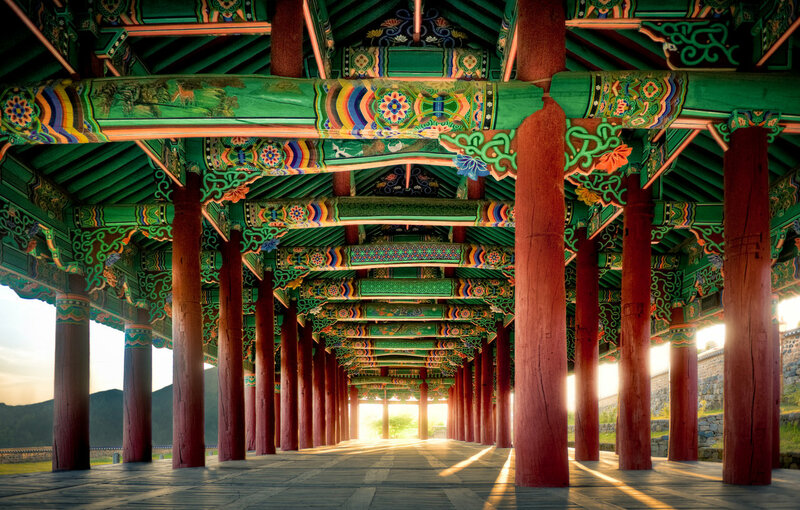 Silk Road Review will be producing a special issue entitled ASIA. We are interested in fiction, poetry, and creative nonfiction presenting an Asian or Asian-American perspective or work that explores an aspect of locations within Asia. Writers of all backgrounds are welcome to contribute as long as the submission fits under the umbrella of ASIA. Prose can be no longer than 20 double-spaced pages in length. No more than five poems per submission. Please write the word Asia in the comments box. Our Co-Editors in Chief ready to take on AWP. We sat around our big conference table and debated on how we would tell you about our amazing experiences at AWP, and we decided the only way to do it justice was to give it to you by the numbers. 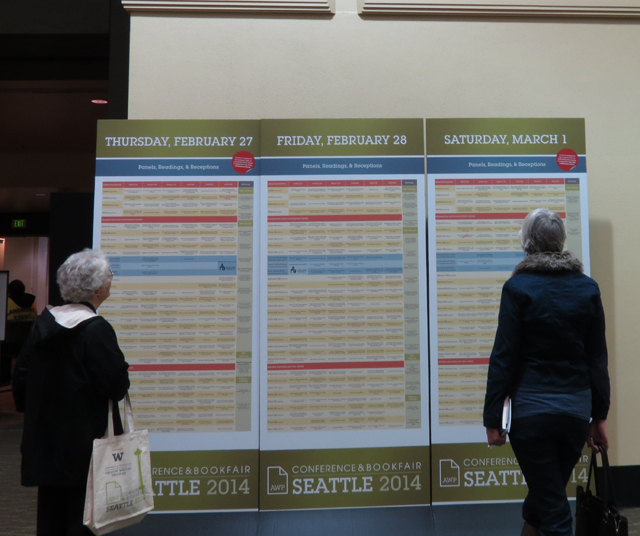 If you’ve not gone to an AWP Annual Conference and Bookfair, put it on the bucket list. Next year’s event will be held in Minneapolis, April 8-11. It’s not too early to start planning. Really. We mean it. The sheer number of attendees, vendors, panels, and readings will knock your socks off. Here’s what we did over the course of four days in Seattle. The staggering number of panels to choose from. and drove 198.8 miles to AWP. And because we’re shameless name droppers who love to promote writers: Ursula Le Guin, Danika Dinsmore, Molly Gloss, Marianna Wiggins, Rolf Potts, Christina Baker Kline, and Abi Curtis. Our Super Staffers. They’re so awesome they should have capes! 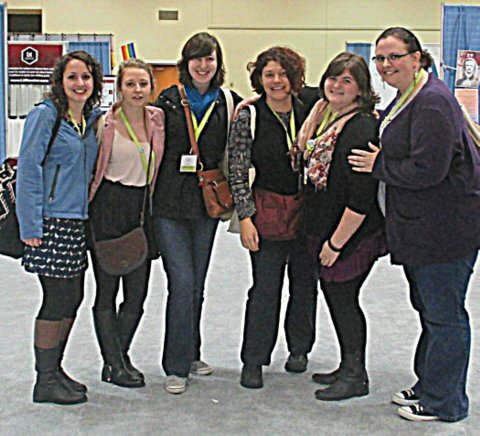 One of the biggest take-aways from AWP was how much the event motivated us to do our best work every day. We left with a reminder of how powerful literature is, why it’s important to keep creating art, and that even though writing can feel like a solitary endeavor that we are not alone. We heard words written by the brave women who risk their lives to participate in the Afghan Women’s Writing Project. To read their stories to a rapt audience and to participate in their writing journey was humbling and inspiring. Keya, weighing in on her panel. The highlights were numerous. 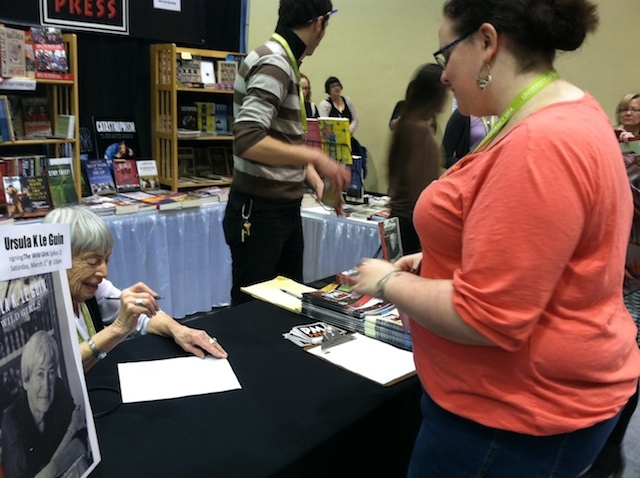 One of our staffers, Rebecca Allen, presented the first page of a paper she wrote to Urusla LeGuin for an autograph. Once she explained that the paper was on the craft conventions used by LeGuin and Tolkien to create their fantastical worlds, and that it was accepted at a conference, Ursula asked Rebecca to send her a copy. Then she signed it. We managed to make it out of the booth before falling over, giddy with glee. We listened to panel discussions by authors we love on how to infuse research into historical fiction without making your novel sound like a Wikipedia entry. With Hedgebrook we shared how and why we support under represented writers. We wrote pieces of flash fiction, learned how to teach travel writing, and how to apply for an NEA grant. And, of course, the readings. Oh, that long list of powerfully beautiful readings. Rebecca and Ursula LeGuin chatting about literature. At AWP, we connected with hundreds of writers from all over the world, and shared with them what we love most about Silk Road: the collision of cultures, where place is a defining influence, and where stories are prized more than gold. We encouraged them to submit their work and to send an anonymous note of encouragement to a fellow writer via the Postcard Project. 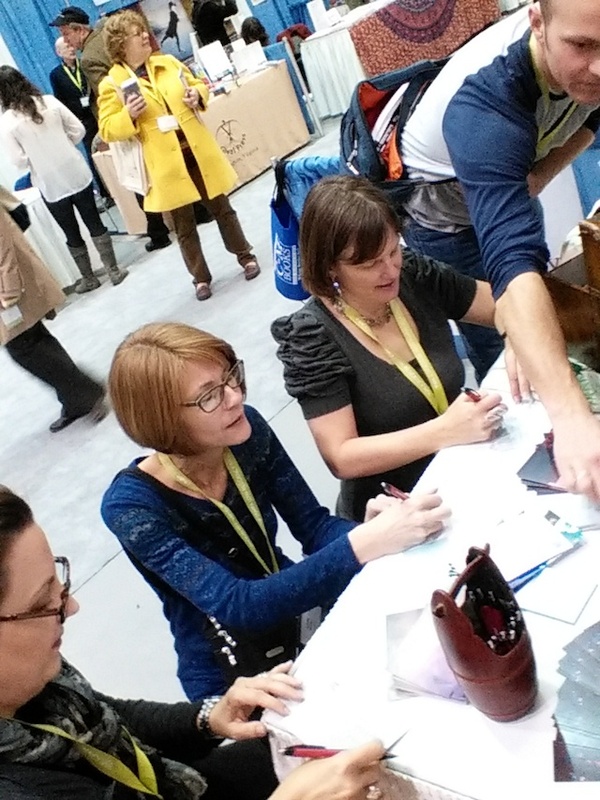 At booth 622, Silk Road Review, we watched complete strangers create a community. We wished it would never end. We’re so excited it’s February. Why, you ask? Because in Seattle from February 26 to March 1, we will be attending the AWP conference for the first time. We are psyched! For those who haven’t heard, AWP, the Association of Writers and Writing Programs, is the largest literary conference in North America with over 12,000 writers and readers attending its conference in 2013, according to AWP’s website. AWP is also famous for its book fair, which attracted more than 650 exhibitors last year, and which we are absolutely stoked to be a part of. The reason we’re so excited to attend is that this conference is big. AWP has been around since its foundation in 1967, when it was created in order to advocate for new creative writing programs in higher education and to provide more publishing opportunities for young writers. As its influence and prestige grew, AWP began hosting national conferences, the first of which took place in 1974 at the Library of Congress. 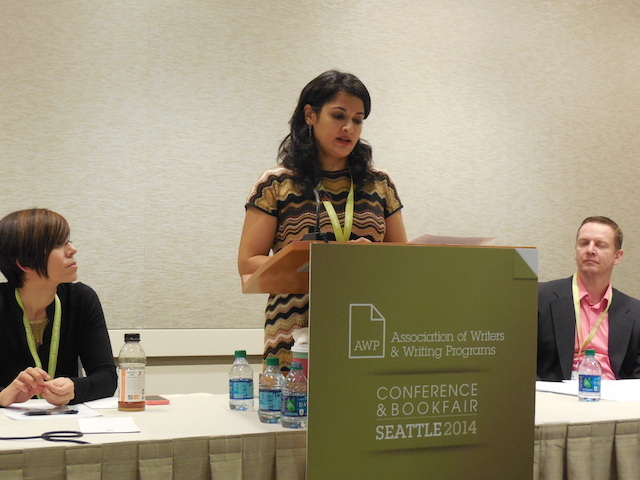 Since then, AWP has held its conferences in a different city each year and has developed its own writing contest, the AWP Award Series, with cash prizes up to $5,500. Since AWP is coming to our very own West Coast this year, Silk Road Review has the amazing opportunity to get to know our local readership in our own backyard. And did we mention the guest list? In attendance will be such award-winning authors and poets as Ursula K. Leguin, Sherman Alexie, Robert Hauss, Chang-rae Lee, Sharon Olds, and many, many others. If that wasn’t great already the celebrated Annie Proulx, recipient of the Pulitzer Prize and a National Book Award, is the keynote speaker. We can hardly imagine so much talent in one place! 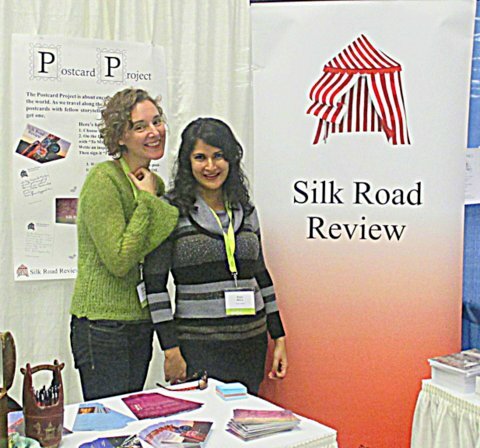 Silk Road is also delighted to announce that it will be bringing the Postcard Project to AWP after its spectacular success at Wordstock 2013. Thousands of writers and readers from across the nation will be in attendance so we’re setting the bar high. Five-hundred postcards, perhaps? A thousand? This year, as the special projects team gathered around our big conference table, it became clear that we all wanted to do something fun, inspiring, and new. We wanted to give back, to find a way to involve more writers with our magazine, to create a community of encouragement for our fellow writers, and do something nice all around. With those goals in mind we stared into our supply closet and the bulging boxes of postcards hoping for inspiration. It showed up like a flash and the postcard project was born. We officially launched it at Portland’s Wordstock Festival in October to great success. I just wanted to let the Silk Road staff know that I recently received one of the postcards from your Postcard Project, and it really made my day. I’d been having a tough week, and the inspiring message written by “My Biggest Fan” helped pull me through. Thank you for running this project, I hope I can contribute again in the future! Today, I was pleasantly surprised to receive an inspiring postcard in the mail that told me to “drive through the writer’s block and keep my chin up.” I must admit I have been struggling the last couple of weeks with my writing and this little message from a fellow author warmed my heart beyond words. Thank you so much for doing the Post Card Project! I can’t wait to take part in it at AWP. You can imagine how thrilled we were! From boxes of beautiful blank postcards to helping our fellow writers through the slump, we’re realizing the goals we set for ourselves in the beginning of the year. It’s been a wonderful community building experience and because we had so much fun, we hosted another event on campus for fellow students to encourage each other through their upcoming finals. Our response was overwhelming. The Portland Writer is correct, we will be at AWP in Seattle this February, and you can count on seeing the Postcard Project there. Please stop by, drop a note in the trunk, and say hi. We’d love to meet you and send your postcard from the Silk Road. KR: How does the theme of nature push you forward as a writer? GK: The easy answer to that question is this: nature pushes me forward as a person. Since I was a young girl, where I grew up in the flatlands of the Midwest, I have been awestruck by mountains and rivers and oceans, by all sorts of flora and fauna, by everything natural from big skies to tiny seashells. Nature, in all its power and glory, triggers emotion for me, and emotion triggers creative thought and deeper understanding. In literature, I’m particularly drawn to the way nature influences character. One of my favorite examples is Ivan Doig’s short story, “Winter of ’19.”As the story opens, Angus is portrayed as a sensible (if stubborn) and generally likeable family man who is now facing a brutal snowstorm. His sheep are freezing and starving, and he must embark on a dangerous journey with his brother-in-law, a man with whom he’s shared a conflicted past, to purchase more feed. In the bowels of the storm, with visibility reduced to near-zero and survival seeming unlikely, Angus imagines his brother-in-law vanishing. “The poisoned time that had come between us […] would at last be ended.” It’s the natural landscape that permits, or even forces, Angus to acknowledge his darker, shadow self, which ultimately is what made him such a compelling character. It took me several drafts of my essay, “Crossing Glaciers,” to achieve that level of self-understanding, wherein I ultimately concluded the glacier evoked, for me, an uncomfortable medley of melancholy, honesty, and vulnerability. KR: What are the benefits you get from writing nonfiction? GK: Writing nonfiction forces me to be more mindful. It’s easy to bumble along day-by-day, not paying much attention to the meaning of it all. But the truth is we all have stories cluttering our minds that are just waiting to be dusted off and examined, and when I sit down to write about an experience, that’s exactly what I feel like I’m doing: wiping off all those sticky cobwebs to get to the artifact. And more likely than not this act involves a new discovery for me, the same as when I used to explore the dusty old attic of my childhood home, where I’d find old relics of books and trinkets from the Great Depression. In writing the stories of my life, the discoveries are usually glimmers of something I had glossed over when I was in the heat of the initial moment that now, much later, reveal more about the characters–the real people–in my life than I’d ever anticipated. KR: How do you prepare to write about the positives and negatives of paradise? What’s your whole writing process? GK: That’s an interesting combination of questions. Of course, in my essay, “Crossing Glaciers,” I was writing about a place that’s literally called Paradise, which certainly has positives and negatives. I think true paradise is a place that can only be imagined, and in my mind that place would only have favorable characteristics. As for writing about paradise–whatever that really means–I think the preparation is the same whether I’m writing about a real or an imagined place. If I’m writing nonfiction, I start with the memory of an experience and let it unfold however it chooses to, trying to recall not only the characters and the conflict and their actions but also the setting. I let my initial emotions take control of my fingers and let the words fly. If it’s fiction, I usually have an imagined half-scene that gets me started. Either way, I don’t start with a sense of positives or negatives; I just allow my mind–my right brain–the freedom to go whatever direction it needs to, which invariably will be skewed one way or the other. Then, in revision, I open up the left side of my brain and begin to ask myself questions. Was that how it really happened? Were those the only emotions? Is the description clear to an objective reader, or is there a better way to say it? I look at credibility (because fact and credibility are not necessarily the same). And, perhaps most importantly, I ask myself: what’s the point of it all? It’s during the revision process that the positives and negatives of any character or place or experience become clearer and, if appropriate, more balanced or nuanced. And of course I often rely on my writer friends to help me ferret out what it is I’ve been trying to say all along. KR: How does a glacier compare to writing? KR: Many say nature is therapeutic, but you also teach a therapeutic writing workshop, how is writing therapeutic to you? 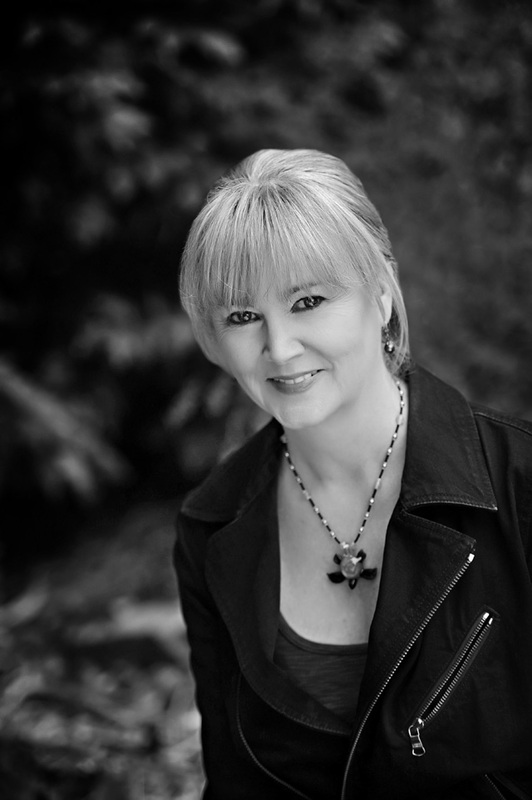 GK: I don’t write for catharsis per se, but writing is therapeutic for me in three key ways. First and foremost–and this is true whether I’m writing nonfiction or fiction–it helps me understand the world I live in, which is what good therapy does as well. Second, when I’m in the writing zone, I can block out all the normal irritants and stresses of life. And, finally, writing allows me to be someone else when I’m inside another character–even if it’s just a former version of me–which means I get a break from my present, everyday perspective and can have good fun imagining, remembering, and pretending. I guess it’s like play therapy for my shadow self. 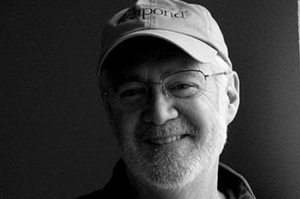 KR: How does your family influence your writing? GK: My husband and kids support my efforts immensely. They’ve bought me craft books, written inspiring little notes about my work, and granted me a great deal of time and space to write. And they’re smart: they don’t offer critique or advice unless I request it from them, which is almost never. They also periodically show up in my fiction with a physical feature, a personality trait, or even a life experience. I’ve even had my characters quote them now and then. And of course they show up in my nonfiction all the time. They just don’t know it yet because much of my nonfiction is still unpublished. 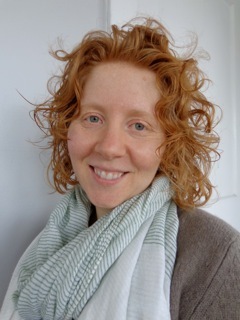 You can read Gail’s piece “Crossing Glaciers” here. Gail has also recently published an article in New York Times about her time on a Heavy Metal cruise with her son. 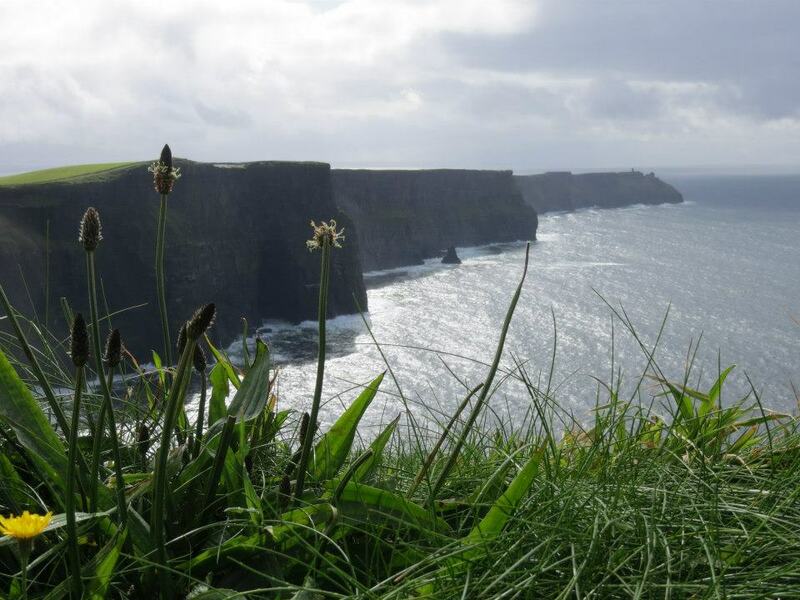 Silk Road’s assistant fiction editor, Amber Patton, studied in Ireland for a year. She came back with a mountain of stories and insights for us all. 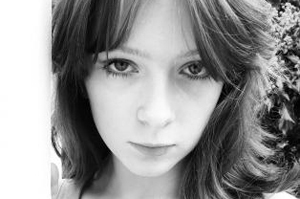 Here’s what she has to share about the history of Irish literature, and some of her favorite Irish Authors. When I had the chance to study in Ireland for a year, I jumped at the opportunity to immerse myself a whole new world of literature. During my year abroad I took five literature courses at the University of Limerick, including a full semester on William B. Yeats. I had no idea how much I would learn about Ireland’s history in the process. At the start of the 20th century, during “The Gaelic Revival,” Ireland blossomed with writers, artists and musicians. Irish authors began writing works in their native language and soon Ireland found a new identity through voice and writing. For the duration of my Contemporary Irish Literature course I read, in-depth, on James Joyce’s narrative technique, the stream of consciousness, in his work Ulysses. I discovered a common style among some Irish authors, which some might view as insensitive and blunt, but instead it’s quite clever. They like to weave humor into harsh and depressing passages in order to lighten the mood. While I cried at accounts of murder, betrayal, and suicide, I also laughed unconsciously at the back-handed jokes and sly come backs. I found their work heart-breakingly funny. As more Irish history emerged, I realized this style developed over the years of struggle in the Irish community and was likely a coping mechanism for horrible situations. No matter how hard or difficult these stories are to digest, they reflect an important part of Irish history and culture. After months of reading creative works, I’d soon discover that writing became an outlet the Irish need for exposing the truth. A truth that was silenced for over 72 years. After gaining succession from Great Britain in 1922, and just as the Irish people began to thrive in the arts, the Irish Free State Committee established the “Censorship of Publication Act” in 1926. A ban was placed on books that contained too much crime, sexual passages, and indecent scenes. Over five thousand books were banned from Ireland. American author Aldous Huxely’s novel Brave New World and J.D Salinger’s Catcher in the Rye were both banned from Ireland because of this act. The censorship also affected many Irish authors as well. The Country Girls by Edna O’Brien was banned for its content. Famous Irish author George Bernard Shaw fought for most of his career to get his books published in Ireland and was only successful with a few. The Adventures of the Black Girl in Her Search for God was eventually published in 1934. Even James Joyce’s work was burned in the late 1940’s in Ireland. The Censorship of Publication Act forced many Irish authors to go abroad to write their stunning masterpieces. If a citizen was found possessing a prohibited publication they were fined €63 or six months imprisonment. Oscar Wilde, born in Dublin, spent most of his years in France, writing and publishing his works. Though he was Irish born, and made regular commentary on the class system impacting Irish citizens, his voice remained silent for his fellow countrymen for years. As the years past, the Committee made changes and revisions to the act, which began to encompass magazines. In 1939, during World War II, the Irish State enforced The Emergency Powers Act, which censored newspapers and periodicals. It wasn’t until 1998, seventy-two years after the act was first created, that the book ban was partially lifted. This allowed previously banned books to be published and welcomed in Ireland. When the act was revised, Ireland exploded with contemporary literature. After years of suppression by the government, the Roman Catholic Church, and England, Ireland’s writing community responded by publishing raw memoirs, fiction, and non-fiction. 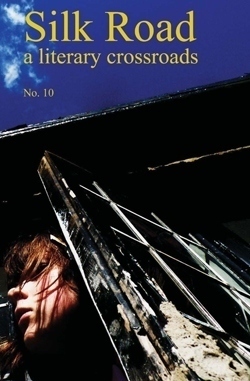 As a student in Ireland I had the opportunity to study modern authors like Anne Enright, whose memoir-based fiction The Gathering is a creative retelling of the uncontrolled child-abuse happening in Ireland during the 20th century. As I read and analyzed this piece of fiction I was enthralled and heart-broken that this story was based on real accounts of Irish history. I wonder what it would have been like if Enright had tried to publish this book during the high point of Censorship of Publication Act. It would have most definitely have been banned for its implied violence and sexual innuendos. Also, I don’t believe the Irish community would have been ready to hear the horrors happening to children at the time. Today, even with new rules and regulations, there is still censorship in Ireland, mostly pertaining to magazines. If you haven’t read a lot of Irish Literature, I highly recommend it. While I was there I studied a wide variety of authors including, Joseph O’Connor, Mogue Doyle, and Christopher Nolan. As I read these novels, I realized just how important it is to have a voice and to be able to write. If we had had a book ban in the United States during the 20th century, what would we have done? How many authors would have been silenced? I appreciate that Americans have not had our writing banned, nor faced a decline of great literature. My time in Ireland also improved my own writing and changed the way I view literature. I have a new outlook on the importance of non-fiction stories and how impactful they can be to an audience. I’ve taken on new techniques like using humor in my own creative non-fiction pieces and I appreciate my heritage and culture. There is still so much Ireland has to offer us, they are a country full of rich history and literature that is worth digging into. In previous eras, if you wanted to hear live poetry in your home, you had to get to know local poets. They would invariably drink too much, or more embarrassingly not at all, and the servants would count the silverware when they left. Welcome to the twenty-first century, where rather than duels and drawing rooms, Google settles our arguments and finishes our sentences. The search giant has also made something else possible: live poetry readings that anyone in the world with a computer can attend. 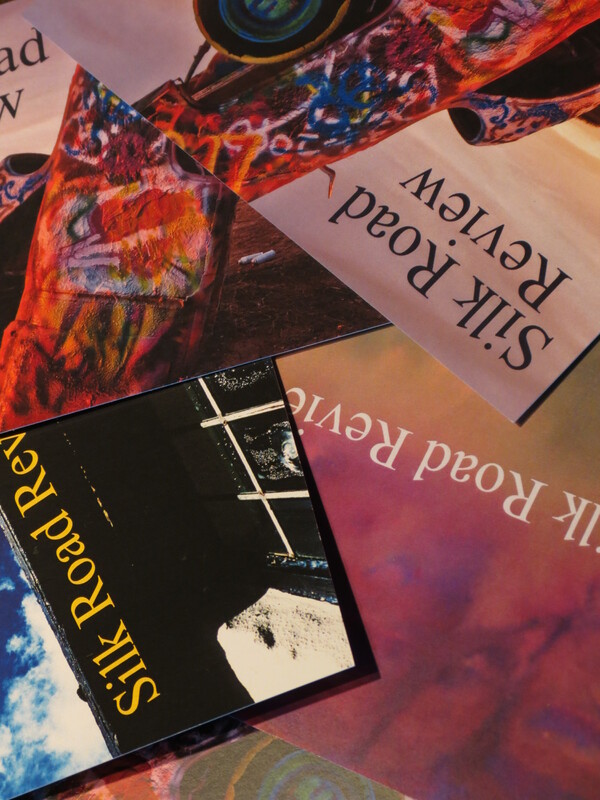 Two such live readings will feature poets from the British poetry special feature in Silk Road Review Issue 10. The poets hail from all across the United Kingdom, and will meet up virtually using Google+ Hangouts on Air. Anyone with an internet connection who can watch YouTube video will be able to tune in to hear poets with a wide range of British accents and dialects reading their own poems. You no longer have to be in the UK to attend great British poetry readings. Here is where the poets come from.